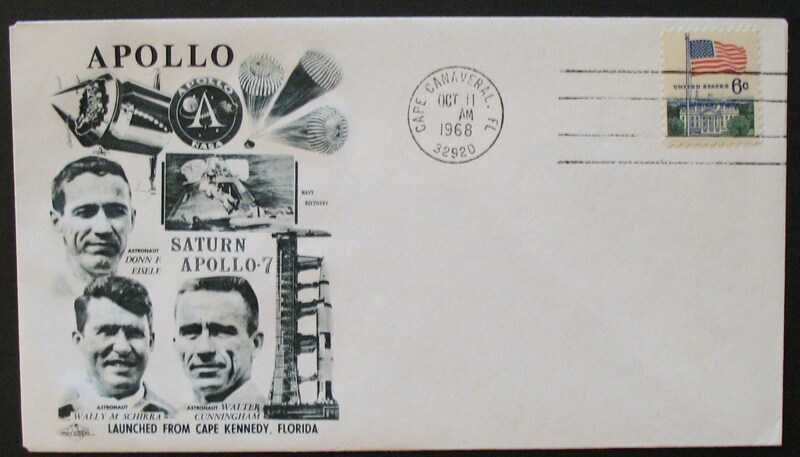 "CAPE CANAVERAL, FLA. / MAY 16 P.M. 1963" (Hand cancel) 1208 Mission dates: May 15-16, 1963. 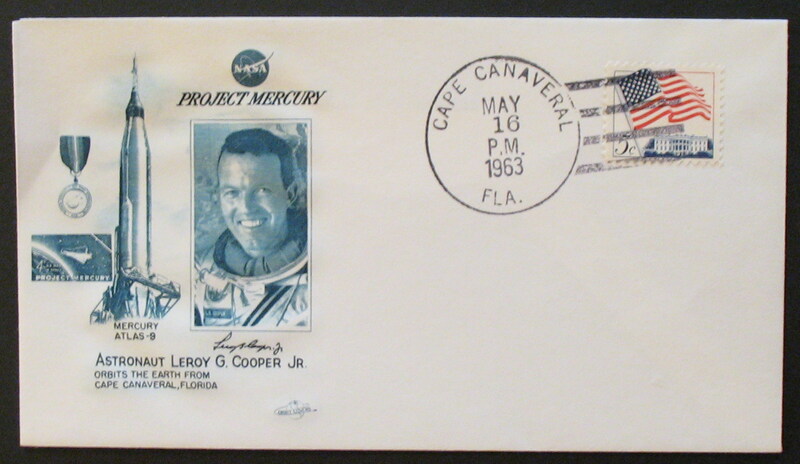 This was the longest of the manned Mercury flights, at 34 hours, 19 minutes, 49 seconds. "CAPE CANAVERAL, FL. 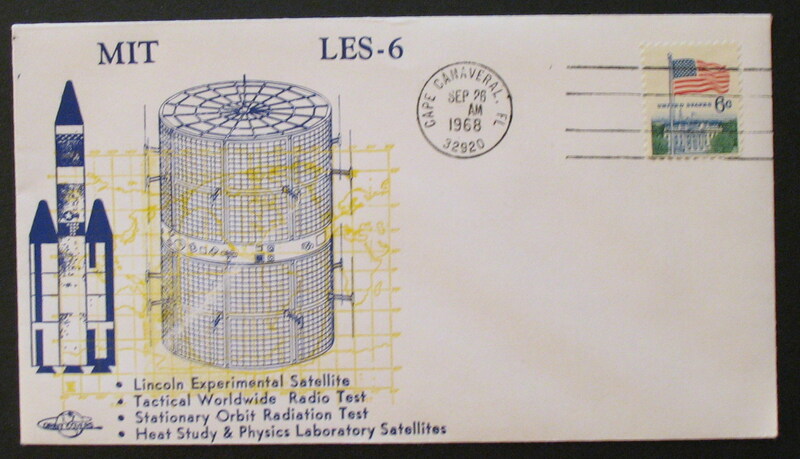 32920 / SEP 26 AM 1968" 1338 Designed and built by the Massachusett's Institute of Technology's Lincoln Laboratory, as part of an Air Force-sponsored program testing new space communications technologies. "CAPE CANAVERAL, FL. 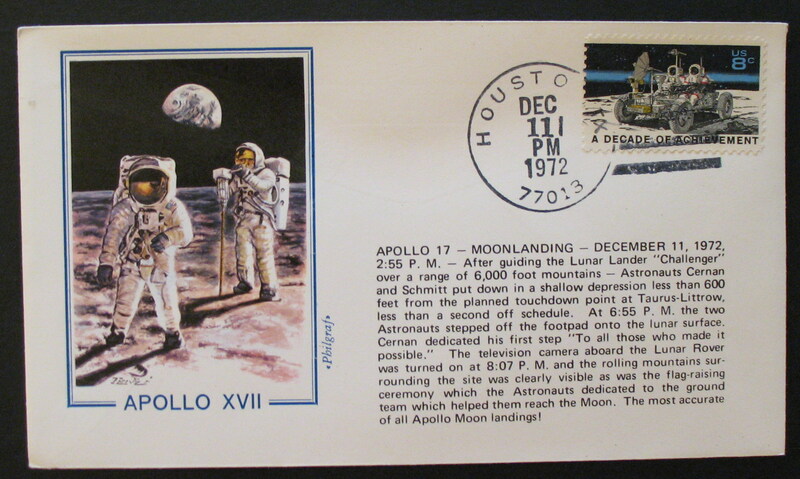 32920 / OCT 11 AM 1968" 1338 Commemorating the service of Astromauts Roger B. Chaffee, Virgil I. Grissom and Edward H. White, II, who died on the launch pad when a fire broke out during a pre-flight test on January 27, 1967. "CAPE CANAVERAL, FL. 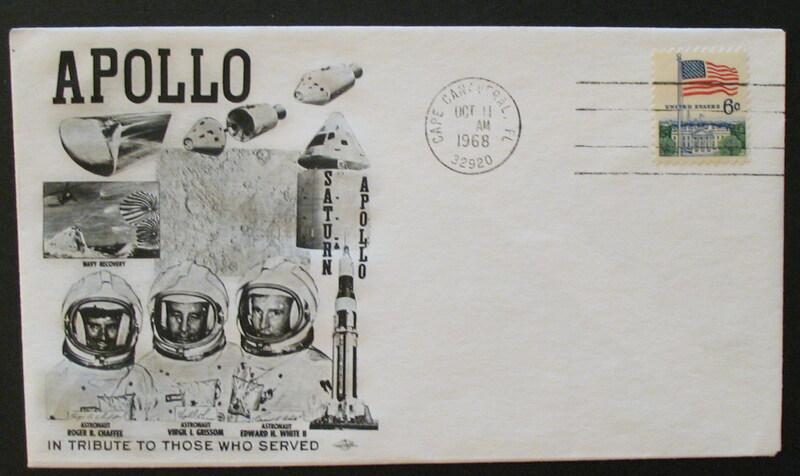 32920 / OCT 11 AM 1968" 1338 Mission: October 11-22, 1968. "CAPE CANAVERAL, FL. 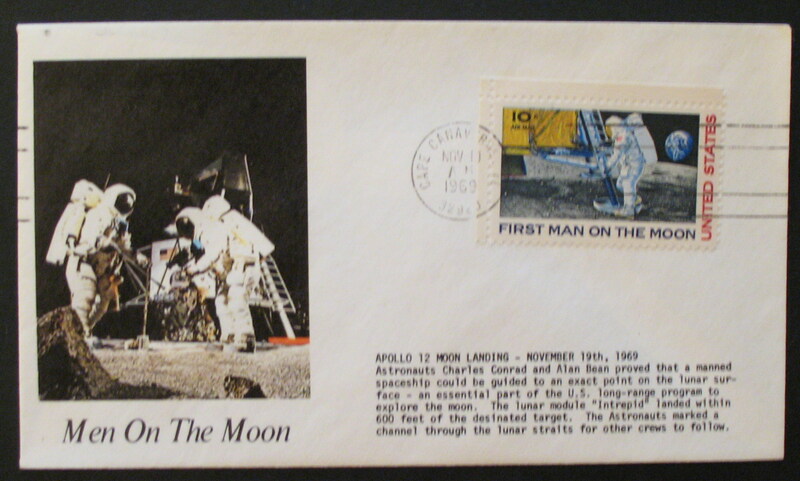 32920 / NOV 19 AM 1969" C76 Commemorating the second manned moon landing mission. Mission: November 14-24, 1969. 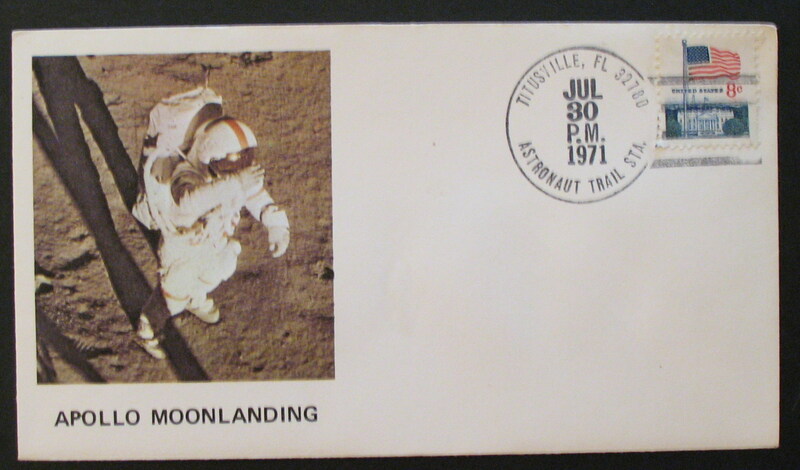 "TITUSVILLE, FL 32780 / ASTRONAUT TRAIL STA. 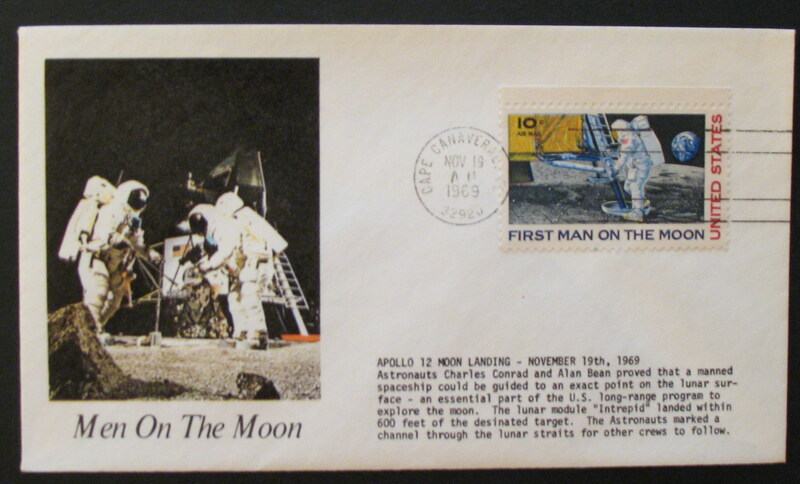 / JUL 30 PM 1971" (Hand cancel) 1338F Ninth manned moon landing mission. 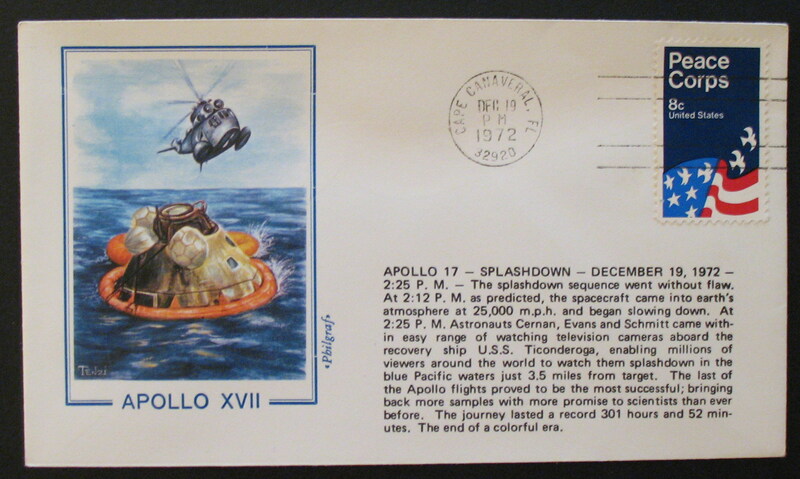 Mission: July 26-August 7, 1971. "HOUSTON TX 77013 / DEC 11 PM 1972" (Hand cancel) 1435 Mission: December 7-19, 1972. 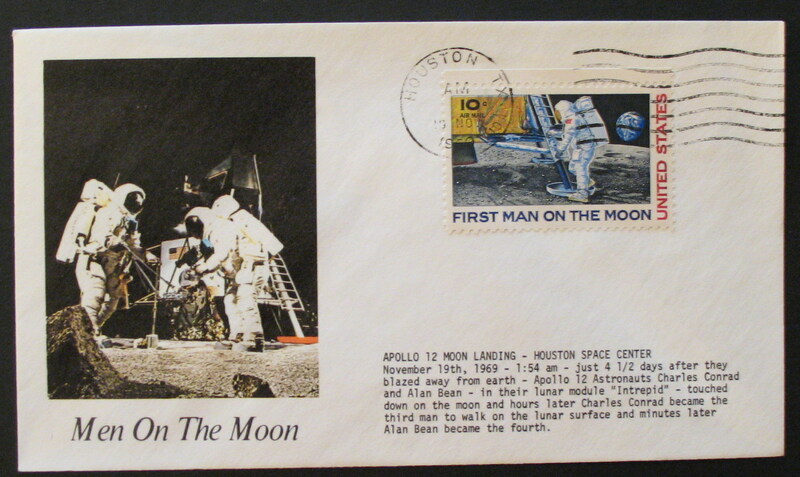 Eleventh and final manned Apollo mission to the Moon.